Answered on 2/28/2018 by Lisa from . I have ordered a replacement bulb from another site. They said it was OEM but when I received the bulb it had a "focal point" of 1.0. The original bulb that came with the Sony VPL-HW40ES has the specifications of 418/77 200/150W 0.8 (the 0.8) is what is different between the replacement bulb and the original. Does your bulb have the same specifications as the original bulb? I never was able to determine the wattage. However I WAS able to confirm that the products from Projector People ARE original OEM bulbs so you can be comfortable knowing that they sell the correct parts. Projector People ONLY sell really OEM bulbs, so it will be correct. It says Sony right on the box, which is the exact same box as Sony sent me when I bought the projector. Other sites bring misinformation, if not outright lies. I will never buy bulbs from anyone but Projector People. Thanks guys....Yes, we only sell the true Sony bulb. 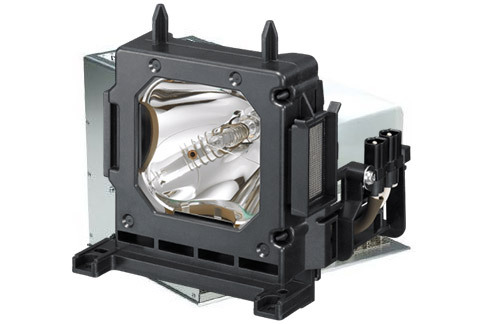 Is the replacement lamp that you sell, Part #: SONLMPH202 | Mfg #: LMP-H202, entirely OEM? I received an OEM Sony with filter after asking the same question so yes.